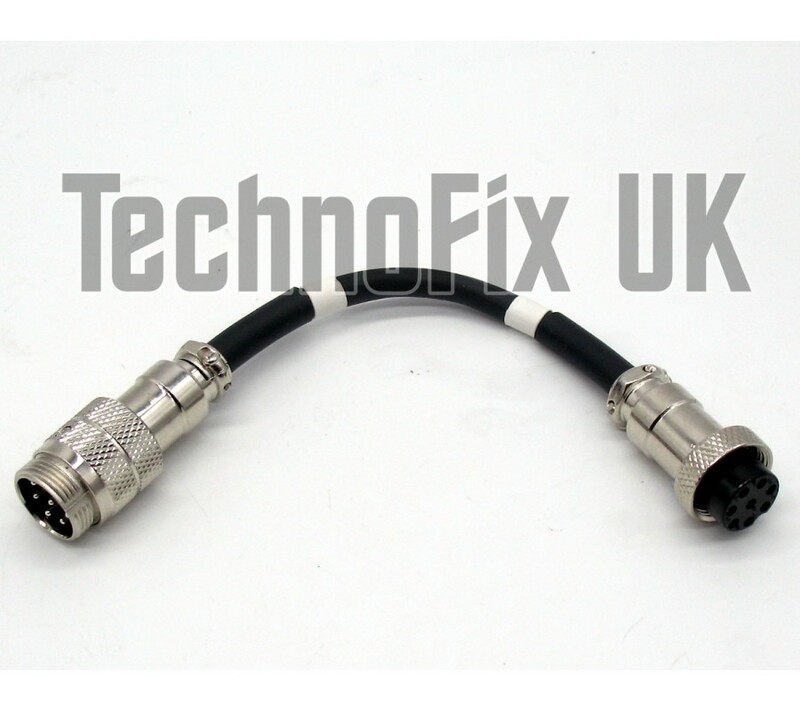 This adapter allows you to connect Icom desk microphones with an 8 pin round metal connector to Kenwood transceivers fitted with an 8 pin round socket. 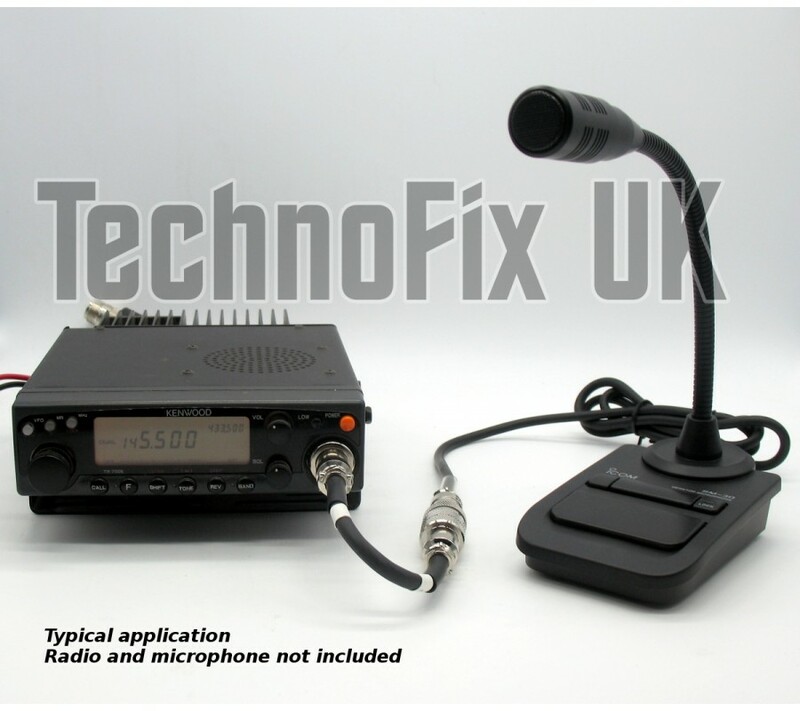 For example, you can use your Icom SM-30 desk microphone with your Kenwood TS-2000 radio. 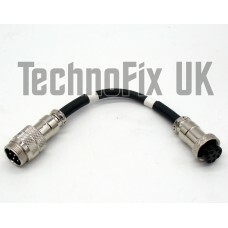 Features sturdy, metal-bodied round connectors joined with a 15cm/6in flexible black cable. TS-450 TS-950 TS-140 TS-680 TS-440 TS-430 TS-2000 etc. Note: Only use with the specified brands. Mic. gain on radio will need adjustment. Channel Up/Down buttons on the microphone (if fitted) will not function. 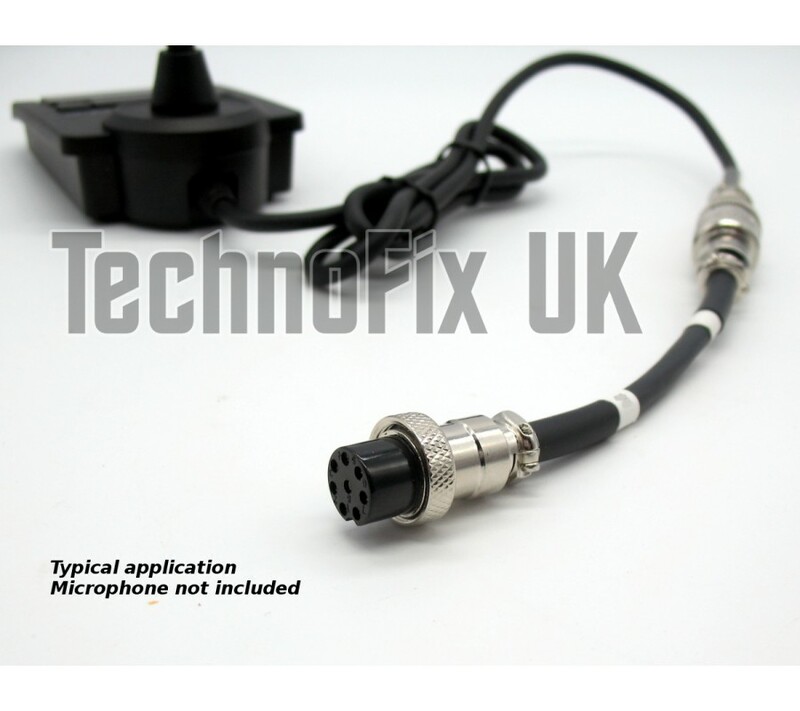 Due to lack of DC power on the microphone socket, this adapter will NOT work with the TS-930.